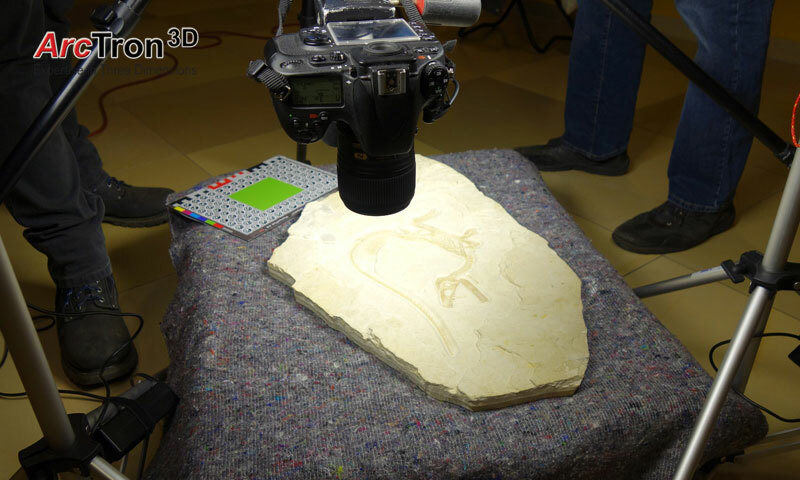 The task was to scan and reproduce the famous “sciurumimus” dinosaur fossil. 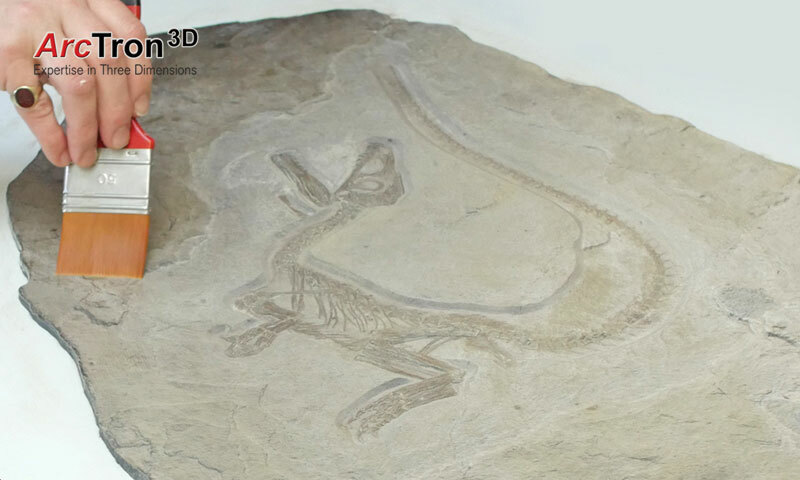 This baby dinosaur was discovered in Painten near Regensburg, Germany back in 2012. The fossil skeleton “sciurumimus albersdoerferi” is about 72cm in length and almost completely preserved in outstanding quality. 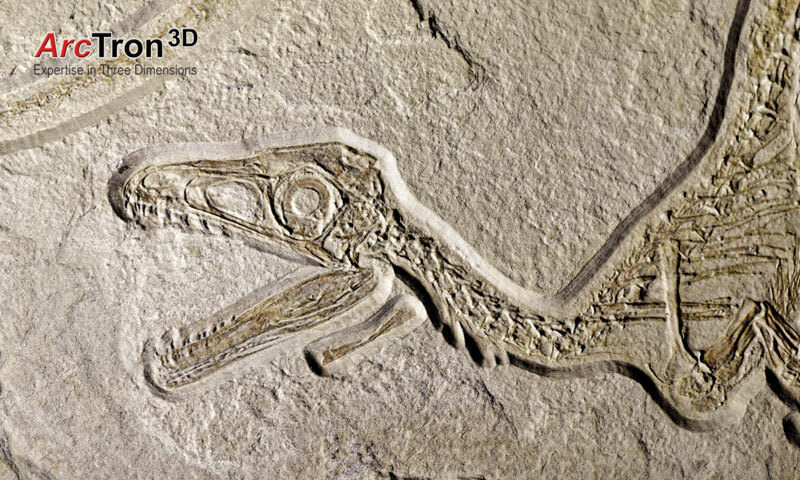 This young carnivorous dinosaur fossil is currently exhibited in the Museum Solnhofen. 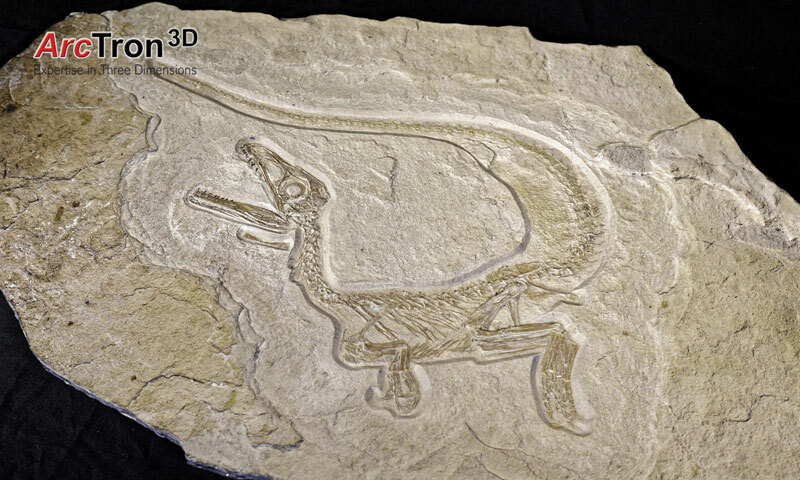 The first step of the project was to digitally document the fossil in 3D in authentic and true geometry. The high resolution and non-contact documentation (geometry resolution: < / = 0.1 mm ) was performed using a 3D light projection scanner in combination with photogrammetric imaging techniques using high-quality DSLR cameras. After the 3D data processing and high resolution digital modeling, which included photorealistic texturing, the data was prepared to produce the replicas in a scale of 1:1. A colourless 3D print was created using rapid prototyping technology and another copy in colour with high resolution printing technology. In a final step the high resolution print was coded with a stone dust layer solvent to create the matted and grainy surface of the original. 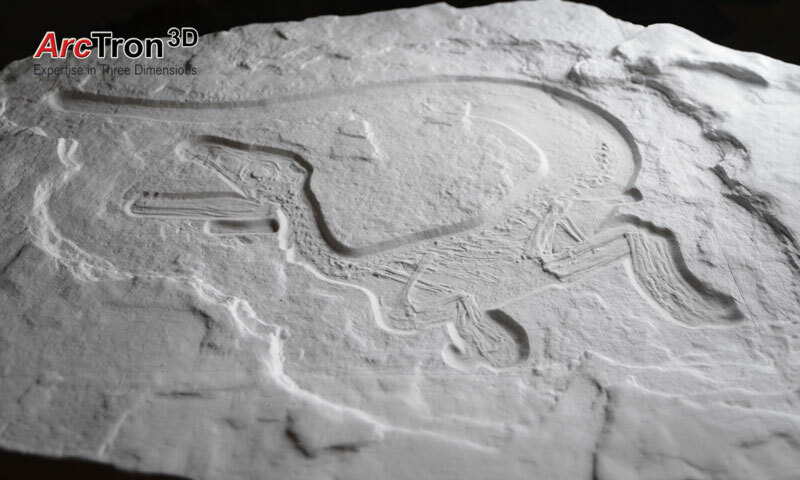 The Albersdoerfer Fossilien GmbH has made another cast of this high resolution 3D print which was then shown in an exhibition in New York. In the advancement of the project, an “extended” augmented reality application was developed. 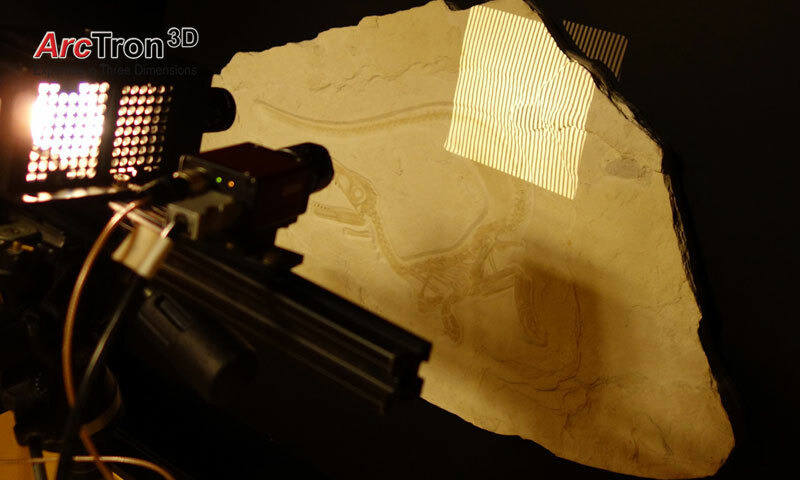 As soon as the camera of a tablet or smartphone views the High-Resolution print of the dinosaur fossil, you can see a dinosaur reconstruction (scientifically still to be modified). It turns out, however, that this virtual dinosaur is not a Pokemon friend! For this reason, we caution you against possible content which might be rated PG-13? !